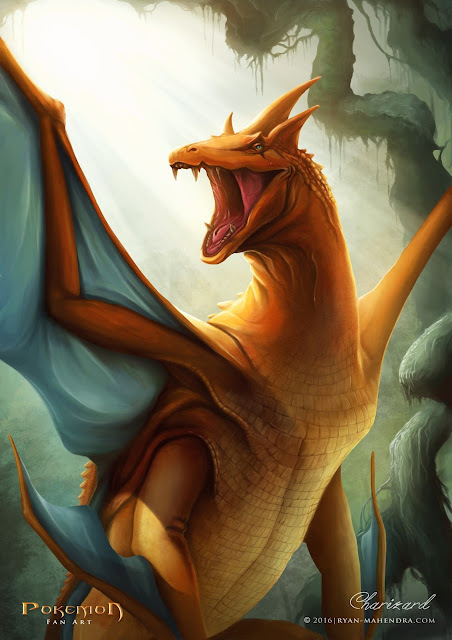 Charizard, in the Pokémon game series, is the evolution of Charmeleon who reach level 36. 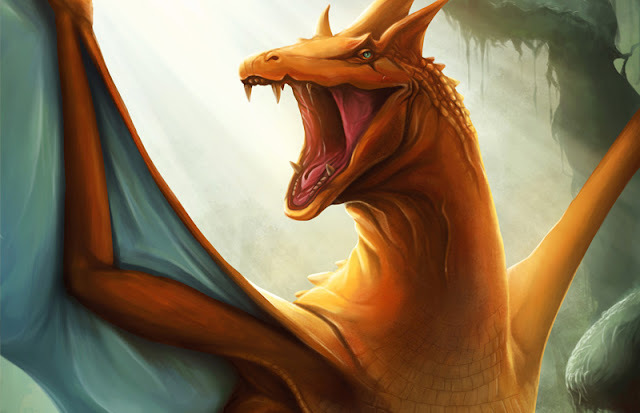 In this form, the body becomes a doubling of body shape as Charmeleon. He has outstanding flames strength, it can even melt the iceberg. Even so, he would not destroy the weaker opponent. He also has wings and can fly like a dragon.